Nissan has won the Technology of the Year 2019 award for its e-POWER electrified powertrain, which is used in the company’s Serena minivan. The award is given every year by the Automotive Researchers’ and Journalists’ Conference of Japan (RJC). Commenting on the award given to Nissan, the awards committee said that when it came to the Serena, Nissan made an electrified vehicle which demonstrated excellent fuel efficiency while keeping costs low. The company did this by using existing in-house products for making core components like the engine and battery. The e-Power system leverages the regenerative brake system to the maximum possible extent and facilitates one-pedal operation. This reduces the workload on the driver and thus makes driving a more enjoyable experience. 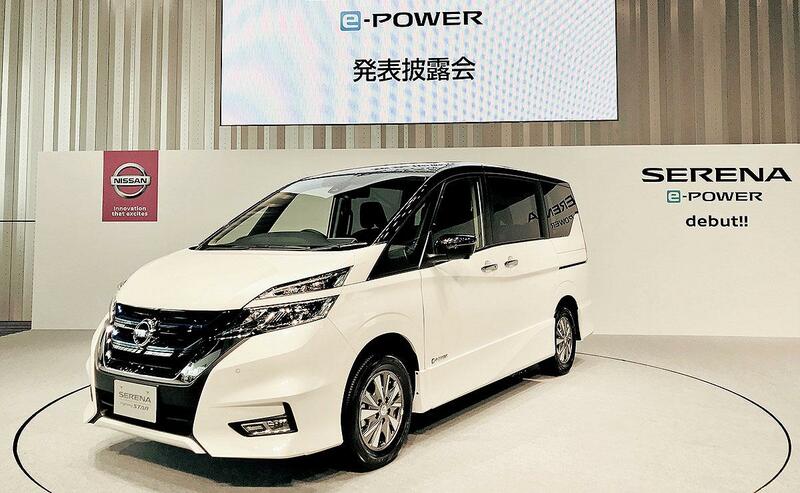 The Nissan Serena was the second model which was equipped with the e-POWER powertrain in February 2018, with the Nissan Note e-POWER being the first model. The Nissan Note e-POWER was launched in Japan in November 2016. The e-POWER system involves the use of an electric motor, which drives the wheels, in tandem with a petrol engine which charges the vehicle’s battery. As the wheels are driven by an electric motor, drivers benefit from the powerful, smooth acceleration that the all-electric vehicle provides. The torque delivered by the e-Power system is a lot more than that of a minivan with a 3.5-liter engine. The petrol engine is used only to charge the battery, and runs at a constant, optimal speed for maximum fuel efficiency, achieving a mileage of 26.2 km/L, which is the maximum in its class. The Serena e-Power became highly popular in Japan thanks to the fun and comfortable driving experience it provides. About 40 per cent of those who buy a Serena opt for the e-Power variant. In addition to the system’s powerful acceleration, the vehicle’s e-Power Drive mode makes it possible to accelerate or decelerate by using only the accelerator pedal. The use of the brake pedal decreases by almost 70 per cent when the e-POWER Drive mode is used, and this reduces driving related stress. The Serena also demonstrates class leading quietness through the use of optimized engine management and noise reduction measures throughout the vehicle body. The e-POWER system will play a key role in Nissan’s electrification strategy. Nissan has plans to launch more e-POWER models globally as part of its Nissan Intelligent Mobility vision.